Today, CNBC reports that a new study by Boston College's Center for Retirement Research says that Americans are $6.6 trillion short of what they need to retire. Yes, you read that right! Trillion. So, what can we blame this on? For starters, a declining stock market and falling home values have hindered the plans of many Americans near retirement age who no longer have the inflated value of those assets to tap into. Investors have seen their 401(k)s, IRAs and a bevy of other retirement accounts pummeled in the last few years as the financial crisis put downward pressure on debt and equity of all stripes. The CNBC article says, "The $6.6 trillion figure is based on projections of retirement and income for American workers ages 32-64. The study's authors say they arrived at the amount using conservative assumptions, including a 3 percent rate of return on assets and no further cuts in pension coverage or increases in the Social Security retirement age." While the market may return better than 3% on average (probably closer to 7% after inflation) over the next couple of decades, it's better that this type of study displays just caution given the extreme dislocation we've seen in the financial markets since 2007. 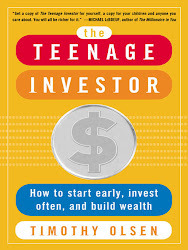 If anything is a call to action for Gen Y investors, this is it! "Right Here, Right Now", the hit 1990 song by British rock group Jesus Jones had a great line that's quite applicable to today's Gen Y investors. Indeed, we can say that like Jesus Jones, we're "Right here, right now, watching the world wake up from history." Many Gen X'ers and Baby Boomers are coming to the realization that their retirement assets are not what they expected. This is the perfect time for Gen Y investors to start socking away even more money into savings and investment plans. We are lucky to be so young in that we can learn from the financial mistakes of older generations! The writing is on the wall courtesy of the Boston College report. It's time to save and invest even more to realize our retirement goals.